Swing a dazzling Floating Charm Locket from your neck and you've instantly got your chic on. With a carefully selected scattering of themed charms, this Floating Locket will simply proclaim: I Love You! 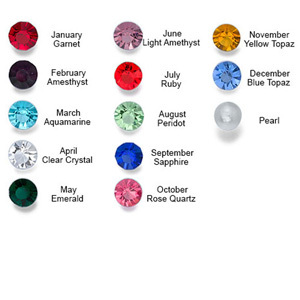 Personalise your necklace by selecting the locket style, birthstone crystal and chain length... and you're done! You should allow approximately 3 weeks to receive your Floating Charm Locket OR select our Express Service and for an extra $20, have your Locket despatched within 14 days. 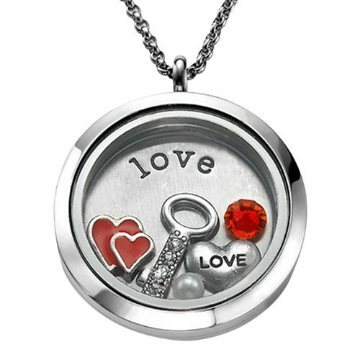 Please Note: Floating Lockets are NOT air-tight or water-tight. To keep your necklace and it's charms at it's most radiant, it is suggested you avoid wearing whilst swimming and bathing/showering.